The only commandant of the Marine Corps to have received his early military training at the United States Military Academy at West Point, he was born at Utah, Alabama on November 30, 1846. He grew up there and in New Hampshire. He entered West Point in 1868 but left two years later to accept a Second Lieutenant's commission in the Marine Corps. He was promoted to First Lieutenant in 1878 and to Captain in June 1892. In 1894, while serving aboard the USS Baltimore as a Marine Fleet Officer on the Asiatic Station, he led a Marine Force on a night forced march to protect the U.S. Legation in Seoul, Korea, where the Chinese-Japanese War threatened to overrun neutral observers. 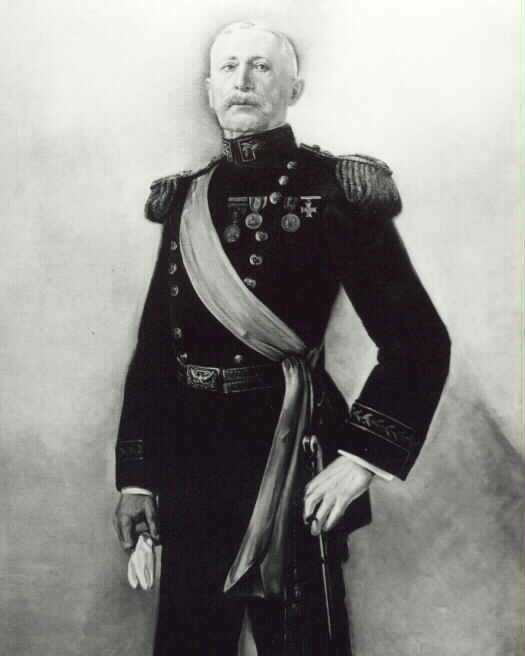 In 1898, he was action in Cuba during the Spanish-American War and distinguished himself at Guatanamo in June. Promoted to Major in March 1899, he was ordered to the Philippines for service against the Insurrectionists. He was advanced to Lieutenant Colonel in September and on October 8, led a brigade in the victory at Novaleta. In March 1903 he was promoted to Colonel and in October of that year became Commandant of the Marine Corps with the rank of Brigadier General. In December 1903-January 1904, he commanded the Marine Corps Expeditionary Force on the Isthmus of Panama following the Panamanian revolt against Colombia. Promoted to Major General in May 1908, he continued as Commandant until he retired from active duty in November 1910. 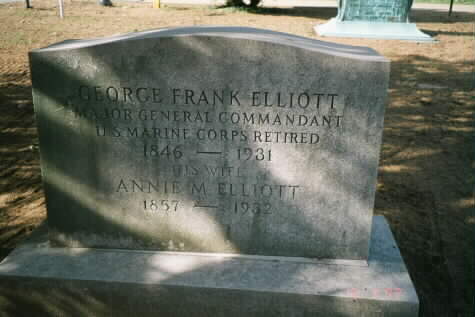 He died at Washington, D.C. on November 4, 1931 and was buried in Section 2 of Arlington National Cemetery.His wife, Annie M. Elliott, is buried with him. A United States Navy Transport ship named in his honor was lost off Guadalcanal in August 1942, during World War II. NOTE: The General's wife, Annie, was the daughter of Oscar Charles Badger, Commorore, United States Navy.